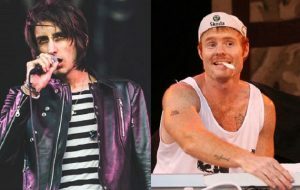 The Horrors frontman Faris Badwan has teamed up with Hercules And Love Affair on their new song ‘Controller’. The track is the first single from Hercules’ as-yet-untitled next and fourth album and is their first since the release of ‘The Feast Of The Broken Heart’ in 2014. You can listen to the track below via The Fader. Frontman Andy Butler took to Twitter to announce the track, which is officially out tomorrow (February 9). Badwan, meanwhile is working on a new album with The Horrors. Last year, the singer released a new album with his side project Cat’s Eyes. ‘Treasure House’, was recorded at Real World Studios in 2015 and was produced and mixed by Steve Osborne who has previously worked with New Order, Suede and Happy Mondays. It was the first studio album since their self-titled debut LP in 2011. The post Listen to The Horrors’ Faris Badwan on comeback Hercules & Love Affair song appeared first on NME.